Mellissa graduated from Washington and Lee University with a BS in Accounting and Business Administration. She has lived in Northern Virginia for the past 25 years and currently lives in Springfield with her husband, two teenage sons and two dogs. She has held many accounting positions over the years such as auditor, accounting manager and consultant but Mellissa loves real estate because it enables her to use her business background while getting her out from behind a desk and allowing her to work with lots of interesting people. 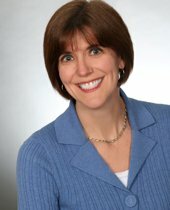 She has particular enjoyed working with first-time home buyers in educating them about the home buying process. When she's not helping you buy or sell your home, Mellissa enjoys walking, biking, reading and traveling with her family.